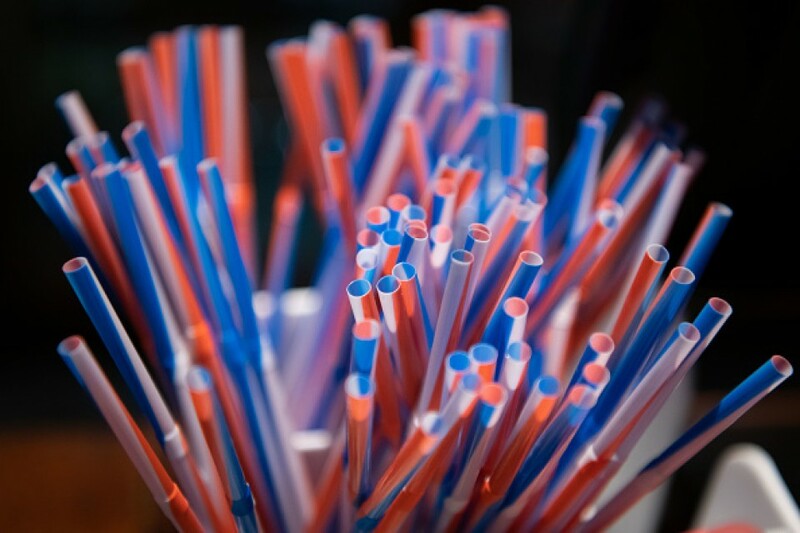 The Japanese government decided Friday to ban in principle the use of plastic straws and cutlery in its cafeterias and stop passing out plastic bottles to conference participants, in its latest policy for eco-friendly procurement. The policy will be applied to all central government institutions, including ministries, courts and regional bureaus, when they start signing new procurement agreements from April. The move comes as Japan seeks to showcase its efforts to reduce plastic waste ahead of hosting the Group of 20 summit in June. Japan is lagging behind other countries in curbing the use of plastics, despite growing fears of environmental pollution. While China was the largest worldwide generator of plastic packaging waste in 2015, Japan was responsible for the largest amount per capita after the United States, according to data from the U.N. Environment Program. Such packaging waste accounts for around half of the plastic waste generated globally. Japan and the United States have also faced criticism for not signing the Ocean Plastics Charter, aimed at reducing the use of disposable plastic, at the Group of Seven summit in Canada in June last year. The charter commits governments to working with industry toward making all plastics recyclable by 2030 and significantly reducing unnecessary use of single-use plastics. In an effort to catch up with the global trend, the Japanese Environment Ministry has drafted an environmental strategy to cut disposable plastic waste by 25 percent by 2030 and to oblige shops to charge for plastic bags. The strategy is expected to be officially endorsed by March, but some critics have called into question its effectiveness saying that it lacks concrete measures to curb plastic waste.